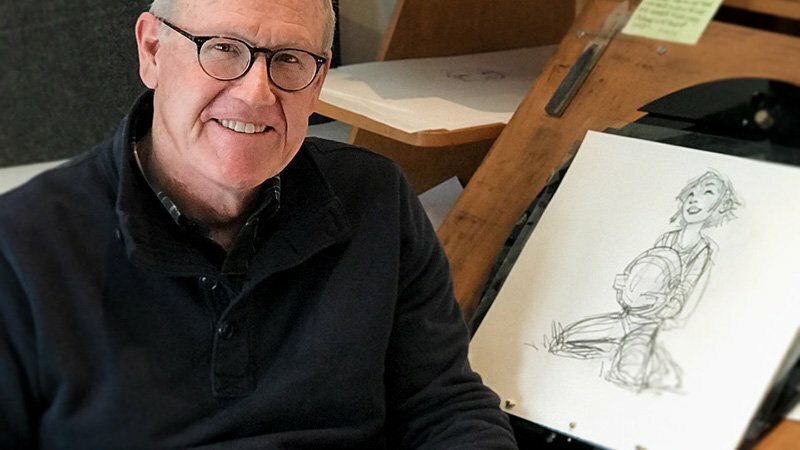 Pearl Studio and Netflix have selected Academy Award-winning Sony Pictures Imageworks as the lead animation vendor for the company’s animated musical adventure Over the Moon, directed by Academy Award-winning animator Glen Keane. The film will be released in 2020, theatrically in China, and to Netflix members around the world. Over the Moon is an animated musical adventure feature film about a girl who builds a rocket ship and blasts off to the moon in hopes of meeting a legendary Moon Goddess. When she gets to the “other side” she unexpectedly discovers a whimsical world filled with fantastical creatures – some of whom threaten her and others who ultimately help her find her way home. Sony Pictures Imageworks is an Academy Award-winning visual effects and animation studio known for photoreal live-action visual effects, dynamic creature and character animation and full-CG features. Having created visually stunning images for more than 100 live-action and animated productions over its 26-year history the studio is also a leader in technology, developing software and tools that have helped solve industry-wide challenges and deliver spectacular visuals to the big screen. Recent company credits include Sony Pictures Animation’s Hotel Transylvania 3: Summer Vacation, Spider-Man: Into the Spider-Verse, and Smallfoot. Over the Moon is written by the late Audrey Wells (Shall We Dance, Under the Tuscan Sun), produced by Gennie Rim (Dear Basketball, Duet) and executive produced by Janet Yang (Joy Luck Club, People vs Larry Flynt). Songs are written by Christopher Curtis (Chaplin: The Musical), Marjorie Duffield, and Helen Park (KPOP). Over the Moon will be overseen by David Smith, who will serve as VFX Supervisor; Sacha Kapijimpanga, Animation Director; and John Kreidman, Producer. Keane most recently directed the acclaimed Academy Award-winning animated short film Dear Basketball, which also won Best Animated Short last year at the 45th Annual Annie Awards honoring the best in Animation. He is a multi-award winning distinguished veteran of Walt Disney Feature Animation who trained under Walt Disney’s legendary 9 Old Men. He is considered one of the most important creative forces in contemporary animation and was the lead animator who brought to life many of the most beloved modern classic Disney characters, such as Ariel in The Little Mermaid, the title characters in Pocahontas, Aladdin, and Tarzan, as well as the Beast in Beauty and the Beast, along with Rapunzel and countless others. The post Sony Pictures Imageworks to Animate Netflix’s Over the Moon Movie appeared first on ComingSoon.net.